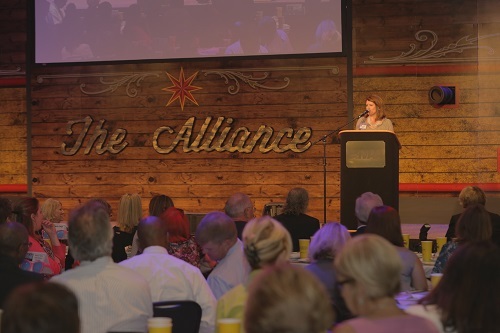 BURLINGTON, N.C. – National Agents Alliance hosted the Education Summit presented by Alamance Citizens for Education on Tuesday at its corporate headquarters. 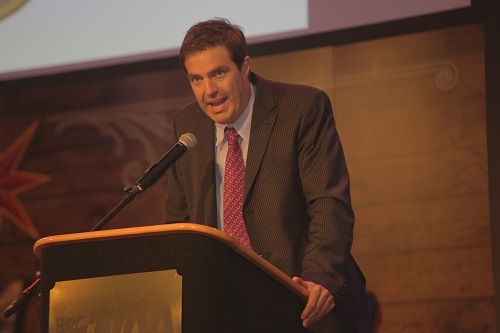 The ACE Summit featured several guest speakers, recognized its volunteer of the year and business partner of the year, during the event where more than 150 attended. 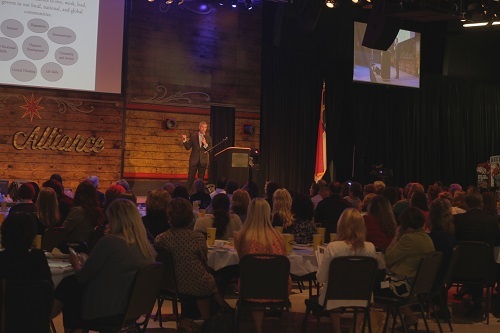 The goal of the ACE Summit is to educate, excite and engage members of the community, encouraging them to become actively involved stakeholders of public schools in Alamance County. ACE’s motto is “educating everyone, takes everyone,” and strives to serve as a catalyst for a transformational impact on its community through promoting the value and benefits of a high quality education system. National Agents Alliance President and CEO Andy Albright and his wife, Jane (a former school teacher) attended the event. Stephanie Brown, board president of the ACE, introduced the lineup of speakers, which included Eric Guckian, Derek Steed, Dr. Lille Cox and DeAnna Foust-Platt. Guckian is the senior education advisor to N.C. Governor Pat McCrory. His primary goal is to narrow the achievement gap in our nation’s public schools. He told the audience that teachers need encouragement for the job they do with young people in North Carolina. “I want to uplift all our teachers because they need to hear it,” Guckian said. Steed, co-chair of the Stakeholders Group for the Vision Plan for Education in Alamance County, said the vision for public education was an “audacious” goal, but was attainable and important. Dr. Cox, the superintendent of the Alamance-Burlington School System, explained why she believes the “future’s so bright” for students in Alamance County. Cox informed the attendees that the Alamance-Burlington system has 22,750 students – up by 400 students from last year – but is operating with $5 million less in its annual budget and with fewer resources and staff. Foust-Platt, the 2013 Alamance-Burlington School System Teacher of the Year, said believing in every child was vital. A former cheerleader, Foust-Platt led a cheer that spelled out “We Believe” at the end of her speech. Lib Clark was named ACE Volunteer of the Year for her service and Wells Fargo was named Business Partner of the Year for their support of ACE.